My first time at Cinespace since it ceased to be Cinespace (Yes, Steve, no one calls it Dim Mak Studios) was for Smog dubstep Sunday. Now, say what you will about dubstep, and everyone has their opinion, there is nothing like a good, ear-battering, bass assault, and the Funktion1 sound system here is arguably one of the best in town. The thing about Cinespace is that it is a little tricky to find, rewarding those with an affinity towards poorly lit, sketchy back alleys while acting as a clever defense mechanism used to deter Hollywood randos who might meander in by chance. First on deck was Subcode; a bit of a dubstep misfit at Smog. His chillstep beats are more akin to an ambient dub lounge rather than the face melting bass wobbles heard throughout the rest of the evening. All the same, listening to a Subcode set is likened to a shot of heroin – you melt into euphoria and it leaves you wanting more. Gosteffects got the dance floor moving with downright wicked dark dubstep. Those low frequency drones that make your eyes roll into the back of your head, that bouncy bassline that makes your feet move on their own accord, and the venue’s 6 foot sub woofer bombarding the room with wave after wave of bass. If you’ve never had an eargasm, you are missing out. The real hero here is Death Face, who played fan favorites like “Blood Rave” and “Bass Face”. His progression of harder, faster rock n roll into the world of heavy and dark dubstep seems insipidly organic. Since signing to Trouble and Bass, Death Face is becoming increasingly popular. This is why when he comes to your town, you will go see him perform. 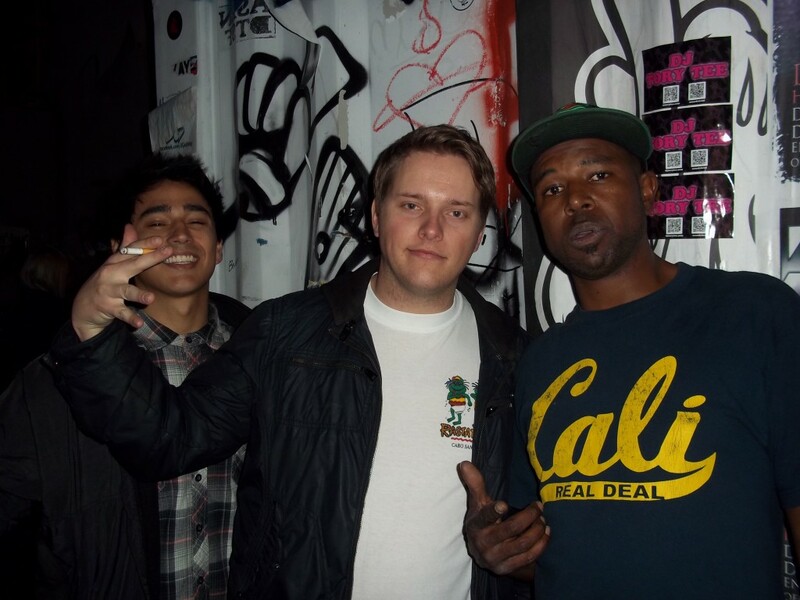 It being Skrillex’ 24th birthday, he had his entourage with him, including 12thPlanet and other heavy hitting LA music producers. 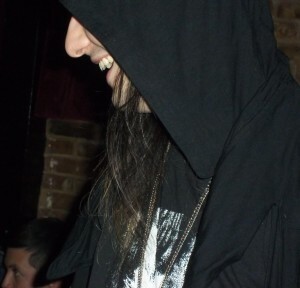 In a typical Skrillex fashion, he did his best to remain hidden with the exception of drunkenly taking the stage to endorse both Death Face and The Juggernaught. While The Juggernaught played out his set, I was off to the unisex restroom for a little pick me up, then downstairs to have a smoke. Who should I encounter (bumming cigarettes from anyone who would share, no less) but The Juggernaught’s producer counterpart, David. “Mark my words” David says in between drags of my, er, his cigarette. “Dark dubstep will be the next big thing.” While he has respect for other music production software, David uses pro-tools. “It’s pretty much the standard.” He tells me. Stay tuned for photos and interviews with Subcode, The Juggernaught, Death Face, and possibly Skrillex.